Perran Yarns is named after our much-loved location near Perranporth in beautiful Cornwall, England. We moved here in 2007 and have always since felt so thankful to live in such a lovely community with unlimited access to amazing land, sky and seascapes. The overwhelming feeling that we get from living near the Atlantic coastline is one of space and openness; a place to breathe in and fill the lungs full of fresh salty sea air. The constant roar of the ocean can be heard faintly from our dye studio – aka my home kitchen! I love to pop down to Perranporth for a stroll across the lengthy beach, preferably barefoot in the warm fine sand, feel the ever-present ocean breeze refresh my senses, and the cool saltwater splash around my ankles. The stunning views, seasonal changes and sunsets never fail to inspire, so it’s no surprise that many of my yarn colourways and their names come from this local landscape. 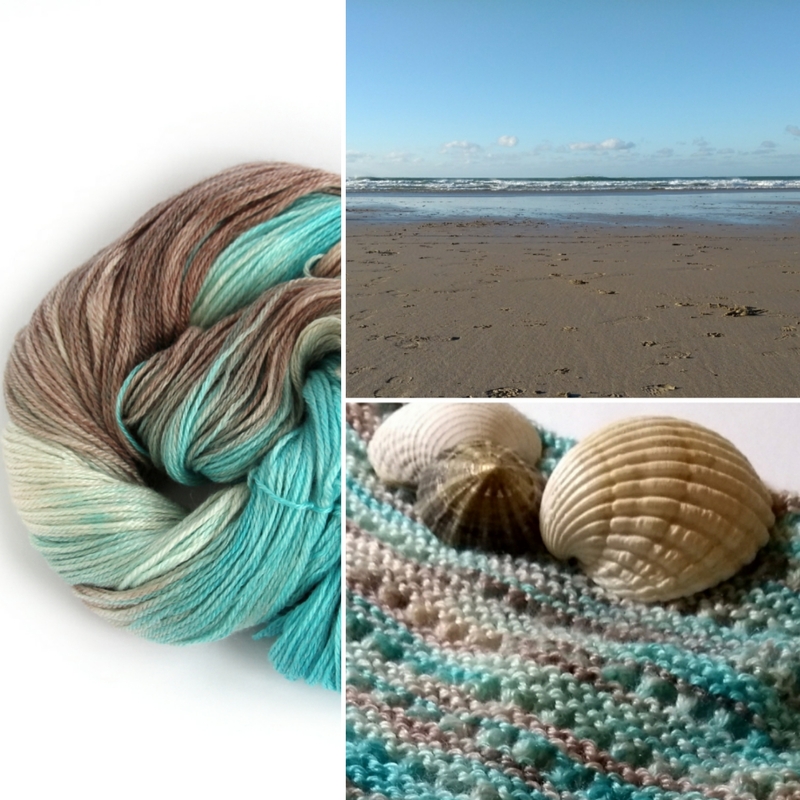 Ripples in the Sand is one of these colourways, pictured above in the skein and also knitted into our free Lean-To Shawl pattern, alongside a typical photo of one of our beach walks.